In Enchanted Islands, we have the immense pleasure of meeting Frances Conway, a smart, independent and endearing woman. Frances tells her story from many stages of life – like when she was a child to when she was a teenager on the run with her best friend, Rosalie. All of that leads up to the most fascinating time of her life, when she is in her 50s and moves to the Galápagos Islands for a very unique reason. It’s so interesting to read about her life on the islands and how she survived with very little. Throughout the story, it begins to feel like Frances is your best friend telling you the story of her life. It’s charming and funny at times, while still resonating the seriousness of the situation – a world on the brink of World War II. I highly recommend this book for fellow lovers of historical fiction. Can’t wait to read Enchanted Islands? Pick up a copy at your local HPB. Plus, enter to win our Chatterbox giveaway featuring Enchanted Islands, sweet summer swag and a $25 HPB Gift Card over on Twitter. Allison Amend, author of Enchanted Islands, shared her thoughts and experiences while writing her new novel. What brought you to Frances Conway’s voice, and how did you discover her? There’s just something about coming of age stories that I’ve always loved. They tend to be raw and honest, funny yet heartbreaking books. Everyone only “comes of age” once in their lifetime, so it’s fun to read others’ stories again and again. A couple of my personal favorites are Skippy Dies by Paul Murray and Winger by Andrew Smith. We polled our booksellers across the country and below is a list of some of their favorites. What book would you add to this list? For the next few months, we’ll be reading Lev Grossman’s The Magicians. Grab a copy at your local HPB and participate in the discussion on the HPB Facebook page through February and March. The Magicians has been adapted into a Syfy TV series. Our very own Assistant Buyer at Half Price Books, Kristen B., knows lead actor Jason Ralph in The Magicians TV series had the chance to ask him a few questions about his experience with the show so far. When Jason Ralph moved to McKinney, Texas in middle school, he was a quiet kid. He barely spoke, but he would always get my notebook back for me when another classmate would steal it. Therefore, we became instant friends. As we both grew older and moved on to high school, Jason started to come out of his shell and we both became involved in high school theatre. Once Jason started acting on stage, it was clear that he was destined for greatness. With his good looks, charming charisma, and heart of gold, he was the guy that every girl wanted. Throughout the years we have stayed in touch, even when he went on stage as Peter in Peter and the Starcatcher on Broadway. Fall is always my favorite time of year. It’s the time for sweaters, boots, cooler temps, pumpkin spice lattes and the year’s biggest and best books. Here are some of the ones I’m looking forward to reading the most. 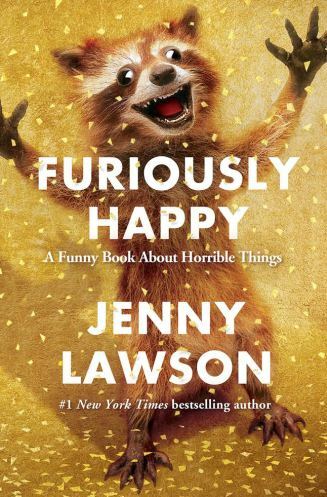 In Furiously Happy, author Jenny Lawson shares a collection of essays telling us how to be just that – furiously happy. Through taxidermy, skinterventions and Swiss Army Dillos, Lawson is hands down one of the funniest authors I have ever read. At the end, though, Lawson does something unexpected and writes about her mental illness in a very touching and sensitive way. Throwing off the humor, she becomes real, personable and encouraging to others who are also struggling. In the same vein as Killing Lincoln and Killing Kennedy, Bill O’Reilly and Martin Dugard take on another United States President. They follow the road of Reagan’s background through Hollywood, as California governor and all the way to his presidency, the attempt on his life and the ramifications afterwards. 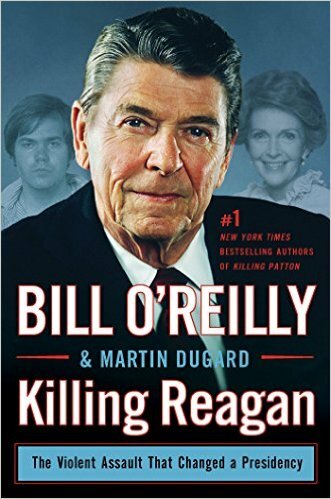 This is the fifth book in the “Killing” series by O’Reilly and Dugard and is sure to be another big bestseller. 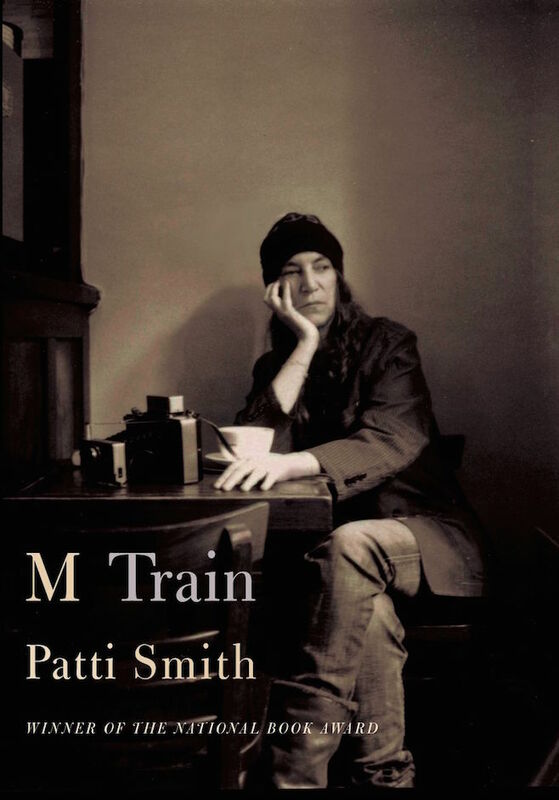 You don’t have to love Patti Smith’s music to love the way she writes. Patti Smith’s first book Just Kids was a major bestseller and even won the National Book Award. Smith returns in M Train to continue her story and discusses subjects such as travel, detective shows, literature and coffee. Told through words on the page and Polaroid photos, M Train is a book you won’t want to miss this fall. 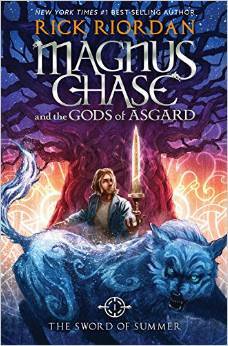 Magnus Chase is a new series by the one-and-only Rick Riordan. It will be sad to leave behind Percy Jackson and The Kane siblings for now, but there is little doubt – Magnus Chase will not disappoint. After a troubled childhood, Magnus finds out that he is the son of a Norse God and that the Viking myths are not myths at all. The journey that follows will be an extraordinary one. 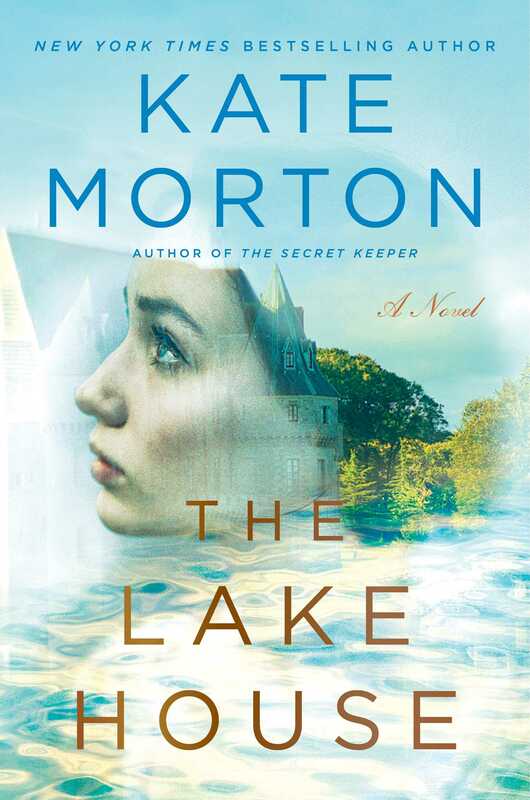 From Kate Morton, the author of The Secret Keeper and The Distant Hours, comes The Lake House, which is sure to be another bestseller. Alice Edevane is living in Cornwall, England, when eleven-month-old Theo mysteriously goes missing after a massive party at her family’s estate. Years later, Alice’s path crosses with a young detective, Sadie Sparrow, and together they delve deep into the past to find the truth. This book was authored by Kevin Costner. Need I say more? No, but I will. 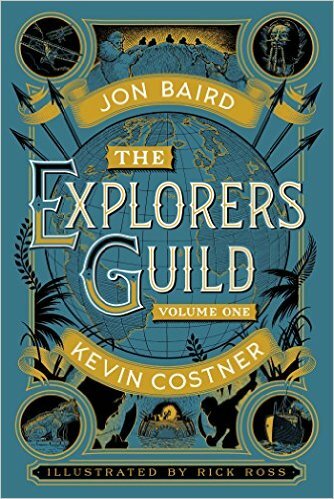 The Explorers Guild is a throwback to the beloved adventure novels of Costner’s childhood The Explorer’s Guild is a group of adventurers who have one goal: to discover the mysteries that lie beyond the boundaries of the known world. Beautifully bound and illustrated by Rick Ross, this book will definitely be a treasure to add to your own personal library. 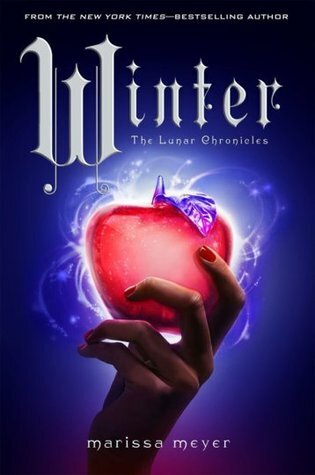 The continuation of The Lunar Chronicles is here after Marissa Meyer’s short departure with Fairest: Levana’s Story, where we learned how Levana came to be her evil self. In Winter, Levana’s stepdaughter, Princess Winter, falls in love with a palace guard. This story, inspired by Snow White, will be one that will keep you up late reading to find out if Cinder, Scarlet, Cress and Winter bring Levana down and take their happily-ever-afters into their own hands. One of my favorite things about Memorial Day Weekend is that I get extra time to READ! Whether you’ll be on the road or you’re just taking a staycation, check out some of the best new books of the spring to dive into this weekend. Are you looking forward to spending your entire Memorial Day at home, curled up on the couch, reading a book? Pick up a copy of Seveneves to last you the entire weekend! After the moon explodes, the world is actually coming to an end. Seveneves follows different people as they prepare for the end of the world. But the book doesn’t actually end at the end of the world. Fast forward 5,000 years and find out what happens when humanity re-emerges. Laia and her family live under the Martial Empire when her brother is suddenly arrested for treason. Laia knows what happens to traitors in this devastatingly brutal world they are living in and decides to go undercover as a slave to rescue him. Elias is the top soldier in the Empire. Soon, their paths cross and they start a journey together. Beware, once you start this book, you won’t be able to put it down! After an accident, Amos Decker is left with the ability to remember everything. Years later, his family is murdered, his life is turned upside down and he starts to take small jobs as a private investigator. Then, a man shows up and confesses to the murder of his family, but Decker isn’t quite so sure that he’s the perpetrator. What ensues is a wild chase through Decker’s memories to find out what really happened that night. With over 30 novels published, Baldacci’s books just keep getting better and better. A God in Ruins is a companion to one of the most renowned novels of 2013, Life After Life, which follows the story of Ursula as she re-lives her life over and over again. A God in Ruins follows the story of Ursula’s younger brother, Teddy, as he navigates life in the 20th century. Atkinson has yet again proved that she is one of the best authors of literature in our time. Imogen Tate comes back to her job as the long time editor of Glossy magazine after a leave of absence to find that everything has changed. Offices are no longer for working, her once-print magazine is now becoming an app and her former assistant is now *gasp* her boss. Imogen must discover how she fits in to survive in this new world and if she even wants to survive at all. The Knockoff is a really fun book that will have you both laughing and crying with Imogen through her struggles. Kristen B. is Assistant Buyer at Half Price Books Distribution Center. You can follow her on Twitter at @kbev302. Meeting some of my favorite authors at American Booksellers Association Winter Institute conference! Every year the American Booksellers Association puts on a conference in February called Winter Institute. This year, it was my complete pleasure to be able to attend. Many different things happen at these conference, like seminars and advanced learning sessions, but one of my favorite parts was meeting authors! The second night we were there, Scholastic put on a reception for some of its authors, including Pam Muñoz Ryan, author of my favorite book of this year and in my top 10 list of favorite books of all time, Echo. I was able to give her a giant hug and thank her for signing over a thousand bookplates for Echo which will be for sale in our stores – get yours at your local Half Price Books today before they run out! Seriously, Echo is one of the best books I have ever read. And I read a lot of books! John Green, author of The Fault in Our Stars, made a surprise appearance at the reception. I had met John at a previous event for The Fault in Our Stars movie in Dallas, but it was a crazy night and I never thought he would remember me. To my complete and utter surprise, he did! He even went so far as to recall the night we met in great detail! We reminisced for a few minutes and then he had to be on his way. A little while later, I was back at the hotel bar, and I heard someone say, “Kristen, I’d like to introduce you to Erik.” I turned around and to my second great surprise of the night, it was Erik Larson, author of The Devil in the White City, In the Garden of Beasts, and the upcoming Dead Wake. We sat for a while in the bar and talked about his books and some of his most memorable signing tours. It was definitely a remarkable night for me – one that I’ll never forget! Yeah, I have the best job in the world. Read more about the highlights from Winter Institute 10 in the Publisher’s Weekly article. Like many of you (50K of you, in fact), I resolved to read more in 2013. I challenged myself to read 100 books before the year’s end. And I can proudly say I did it! Since I work for a bookstore and mingle with publishers year-round, I’m lucky enough to always have a good book on hand, including some advanced reader copies. Here’s a look at my 15 favorites among the 100 books I read in 2013, along with my ratings of each. The first 13 on my list earned themselves a 5-star rating. Keep reading to learn how you can enter to win a $100 HPB Gift Card. So now it’s your turn, booklovers. Join me! I’m making a resolution again for 2014 to keep on reading more! Tell us about your resolution (here) and enter for a chance to score a $100 HPB Gift Card. HOW TO ENTER: Go to hpb.com/resolve and complete the entry form, including how many books you resolve to read in 2014. You must provide a valid email address so we can contact you if you’re the lucky winner. Limit one entry per person. Deadline to enter is Friday, January 31, 2014. * Just for kicks, tell us what books you’ll be reading this year in the comments below. Need some recommendations? Stop in your local store today and ask for help. Happy New Year! *One randomly selected winner will be notified via email after January 31, 2014. Kristen B. is Procurement Specialist at Half Price Books Distribution Center. It seems that everyone in the United States has heard of Fifty Shades of Grey by E.L. James, and millions of women have now read it. Regardless of your thoughts on the book, it is very apparent that the Fifty Shades series has taken the erotica fiction genre mainstream. Men and women everywhere are reading these books – on planes, in auto repair shops, and at coffee shops. But now that you’ve finished reading the trilogy and are awaiting more details on the upcoming movie, maybe you’re asking: “What do I read next?” (oh, right sorry… you’re asking for a friend) *wink*. If you want to read other books that are similar to Fifty Shades, I’ve got some recommendations for you. Next time you, or your friend, are at your local HPB bookstore, look for some of these titles. Also, be on the lookout for the next book in the Bared to You series, Reflected in You, which will be available to the public next Tuesday, October 23rd. – Kristen B.
Kristen B. is Buyer’s Assistant at Half Price Books Distribution Center. When I was looking over the publication schedule for September, I noticed something really exciting. A highly anticipated new book is scheduled for release every week! From J.K. Rowling to Ken Follett, there’s a book on this list for all lovers of fiction. Zadie Smith’s first book in seven years is a love letter to Northwest London. It follows four separate characters – Leah, Felix, Natalie and Nathan – who all grew up in the same place in London, Caldwell and now continue on about their adult lives. This novel brings to light the fact that London is a complicated place, as are the people that live there. It’s beautiful, but brutal. NW is such a lovely novel, it is definitely worth the challenge of reading it with its stream of consciousness narrative. Telegraph Avenue is the story of two families – one black and one white – whose lives are twisted together as they are falling apart. The patriarchs of the family, Nat and Archy, work at a record store that is going under. The matriarchs, Gwen and Aviva, are midwives who are being sued after a birth gone wrong. As their lives are all falling apart, they start to realize how they need each other. The way that Chabon weaves both words and stories together is just beautiful. This novel solidifies my belief that Michael Chabon is one of the greatest authors of our time. There are a few authors that every bookstore seems to carry no matter what. Ken Follett is one of them. Winter of the World, a continuation of the first novel in the series, picks up right where Fall of Giants left off — with the rise of the Third Reich and the beginning of World War II, following the same five families from America, Germany, Russia, England and Wales. This epic novel can be a little daunting at first, given its massive size, but once you get into it, the pages seem to fly by and there’s no putting it down. While most of the details of this novel are being kept top secret until its debut, there is still tons of excitement surrounding its release. Pretty much all anyone knows about this book is the cover and the general synopsis –– in the tiny town of Pagford, nothing will ever be the same again. Barry Fairweather has died in his early forties and left Pagford at war over many things, including his seat on the parish council. This will be Rowling’s first adult book and we are all on the edge of our seats awaiting its debut! Which novel are you most excited about this September? – Kristen B. Thinking of Taking Your Own Unlikely Pilgrimage? Before taking your own pilgrimage, read The Unlikely Pilgrimage of Harold Fry by Rachel Joyce and take some notes. Harold Fry has recently retired and is living in a small village in England with his nagging wife, Maureen. One day, he gets a letter from an old coworker, Queenie, who tells him that she’s dying of cancer. Harold immediately decides to write her back. But what exactly is he supposed to say in this letter? Harold isn’t quite sure, but he writes a short one anyways. While walking down the street to post the letter, a chance encounter convinces Harold that he must walk to Queenie and give her his letter in person. So, that’s exactly what Harold does. Right then and there, without his cell phone and wearing his yacht shoes, Harold decides to walk 600 miles across England to Queenie. Through meeting stranger after stranger, Harold begins to examine his life and come to grips with who he really is. The only fault I could find in this book is that Harold Fry is not real and I desperately want him to be. Harold Fry is one of the characters that stays with you for a long time after closing the pages of the book. Be prepared with a box of tissues for the end of the story! If you’re more of a non-fiction reader, check out some of these books about real people taking their own pilgrimage of sorts before heading out on your own.